Minocqua Lakeside’s storage facility boasts twin 12,000 square foot heated storage warehouses. 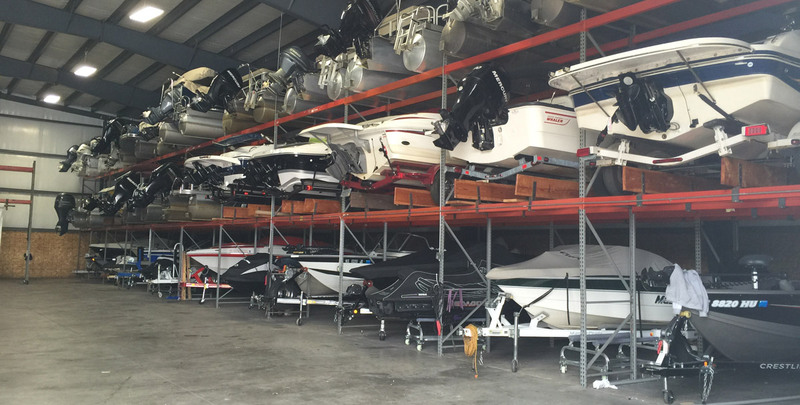 Our warehouses are both constructed with twelve inch concrete floors which help keep the dirt, dust, cold, and condensation off of your boat or personal watercraft. Both buildings are also fully outfitted with state of the art storage racking. Most fiberglass boats never leave their trailers, which protects them from potential hooking, gelcoat pressure cracking or transom damage. 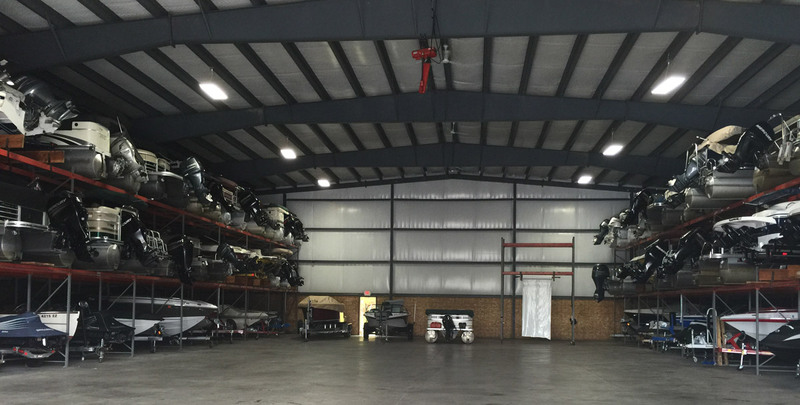 Lakeside’s boat storage facilities are also heated during the winter months with eighteen inch fiberglass insulation bats on all sides and ceiling, keeping your boat or personal water craft protected from the Northwoods winter elemets. 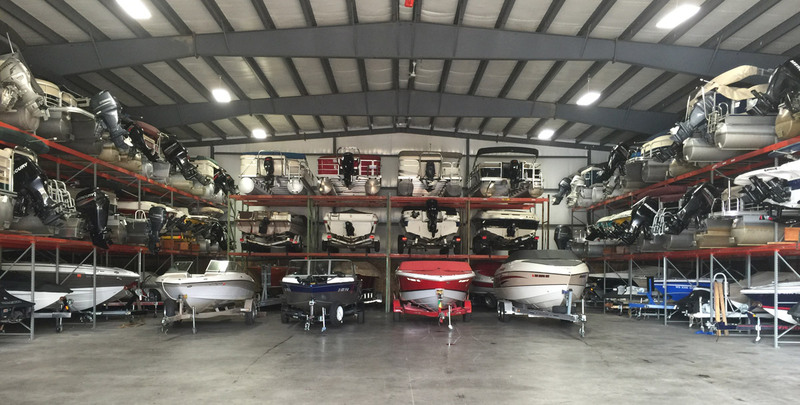 Lakeside Marina is truly Wisconsin’s largest premier boat storage company. Lakeside Marina is also fully insured and completely committed to offering exceptional customer service. Lakeside Marina offers “In and Out” Summer Storage for a flat rate of $950.00 per unit for NON winter storage customers. 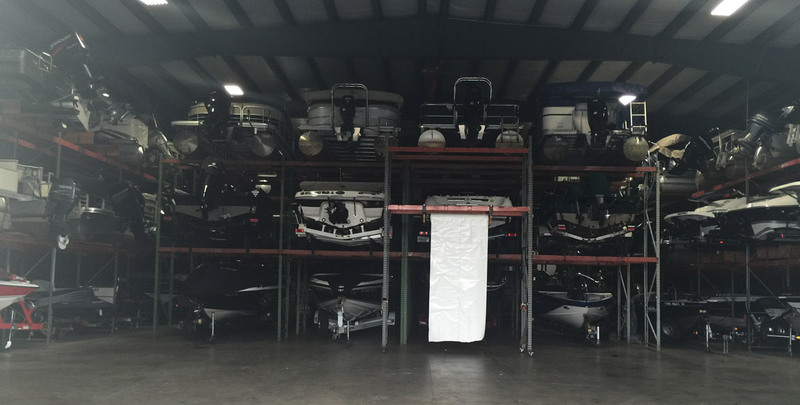 If you currently store with Lakeside Marina during the Winter Months or plan too, and you are interested in our summer “In and Out” Storage service; Lakeside Marina will offer you a discount of $200.00 per winter storage unit. Regular summer storage rates are $750.00 for the summer and Lakeside will also offer a $200.00 winter storage discount to those customers that choose to use this service. 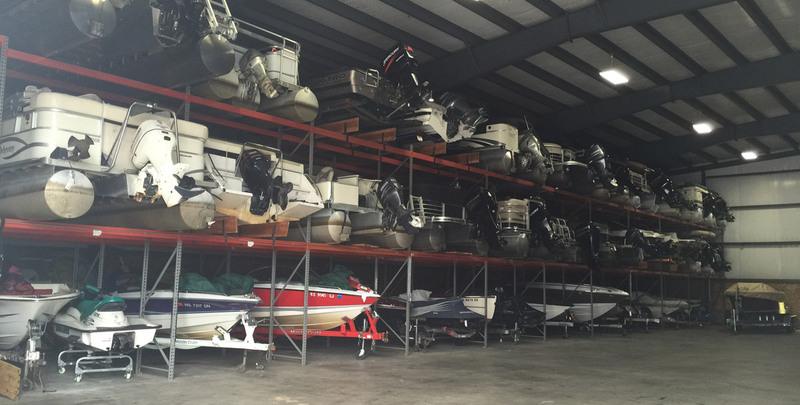 Simply drop your watercraft off at our facility when you are done using it and Lakeside will store it for you! We only ask that you call ahead for pick up so that we can have your watercraft ready when you arrive. For those customers who do not have the ability to pull their own boat, Lakeside Marina can deliver (and pick up) your watercraft at no extra charge for deliveries on the Minocqua Chain of Lakes. Some fees may apply to other lakes; please check out our list of lakes and delivery charges listed under any rental category (48 HOUR NOTIFICATION OF DELIVERY/PICK UP IS PREFFERRED). Please feel free to contact Lakeside Marina if you any questions or concerns regarding this value added service. If the pick-up/delivery is within ten (10) miles from our facilities, a charge of $50.00 will apply. Pickups/deliveries outside of ten (10) miles have a charge of $100.00. Our In and Out summer storage customers will not be charged for deliveries or pick-ups within five miles of our facility. Minocqua Lakeside requires full payment upon receiving your invoice and storage agreement. Your storage agreement MUST be signed and returned with your prompt (NET 15 Days) payment. 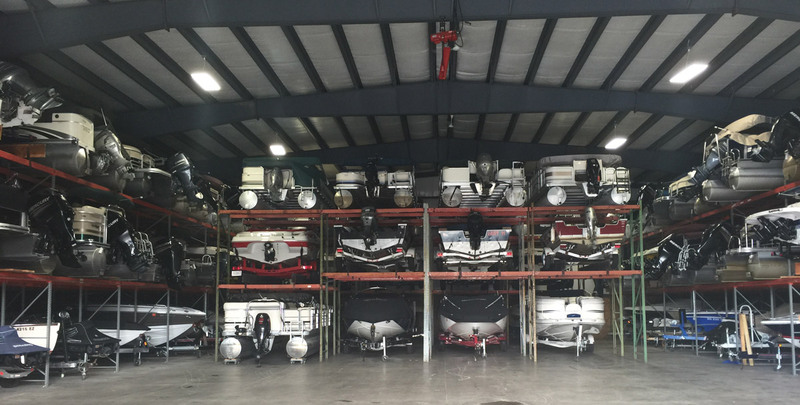 In the spring we ask for at least two weeks notice to get your boat ready for pick-up or delivery. This is very important so we can perform the necessary service to your boat. If you have any additional questions or concerns, please feel free to contact us at (715) 356-1050 (888) 268-2628 or by filling out our contact form. Please note Lakeside measures stem to stern for all storage lengths. Please contact us with any questions. We appreciate your business! We offer a state-of-the-art shrink wrapping service that avoids typical weak spots found in other shrink wrapping which can cause the structure to cave in. This allows the customer to be sure that the winter elements of the North Woods will stay out of the boat’s interior. Applies to any size boat.